The Irish word "Craic " means fun ! Good Craic is good fun or having a good time . My show "Some Good Craic " is exactly that . I play music from lots of great bands in the area and let you know where their gigs are . We have fun in the chat room and sometimes there are contests with giveaways. It's just a hobby !!! 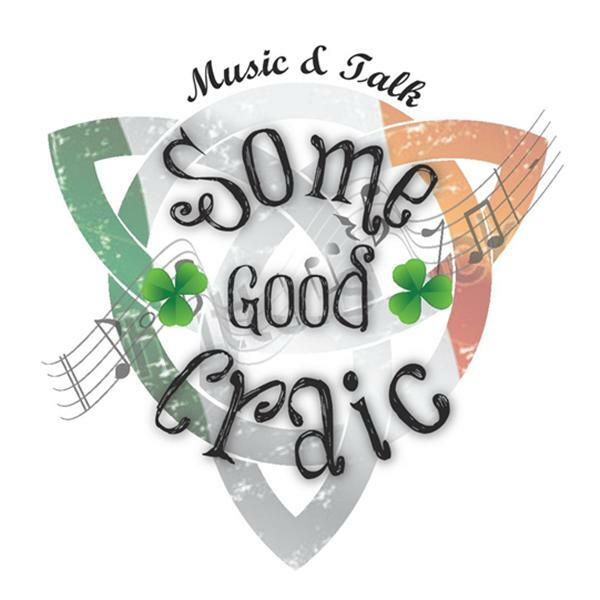 Some Good Craic is back this week with Finny McConnell of The Mahones ! The show is Wednesday night 3/19/14 8 pm EST . And this aint your Granpas Irish music we will be rockin it this St. Patricks Day week . Punk Rockin it !! Irish Punk at its Finest Since 1990! *2012 Independent Music Award Winners for Best Punk Album (The Black Irish)* From an Irish pub to an Academy Award winning movie: The Mahones have come a long way in 2 years! Heralded as pioneers of the Irish punk scene, and internationally recognized as one of the best and hardest working punk outfits around, The Mahones formed on St. Patrick's Day in 1990, and have been working on their own brand of Irish punk ever since. With a working class ethic and a love of classic punk, Finny McConnell formed the band to combine his love of punk rock and his Irish culture. With 9 classic albums under their belt, the band experienced a tremendous surge in popularity upon the release of their 10th album, The Black Irish. It was voted Best Punk Album at The Independent Music Awards (USA), and the band's hit song ?Paint The Town Red? was featured in the climactic final fight scene of Academy Award winning film The Fighter. The band was determined to follow-it up with an even bigger, better sound. Their 11th studio album, Angels & Devils, certainly rose to the challenge. It was the 2012 winner of Best Irish Punk Album, as voted by leading worldwide Irish Punk authorities Shite N Onions (USA), Paddy Rock Radio (USA), Punk.ie (Ireland) and Vandala Concepts (Canada). It made the top 100 new releases on iTunes worldwide, and the top 10 in Germany.